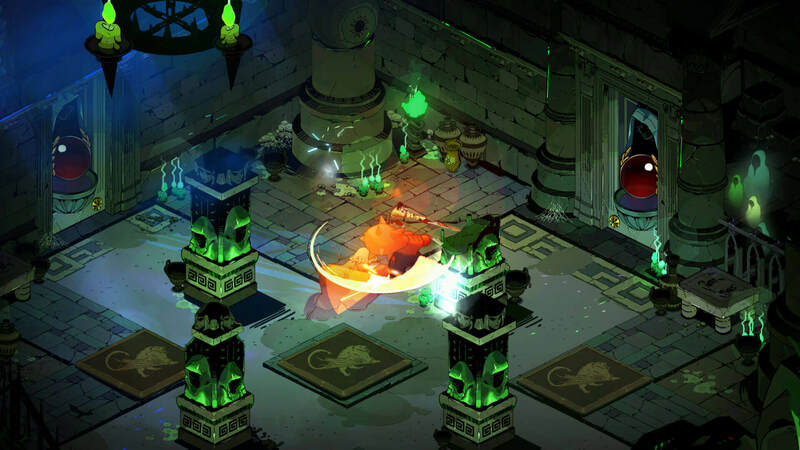 One of the biggest surprises of The Game Awards last year came from beloved indie studio Supergiant Games, which unveiled its follow-up to 2017’s Pyre: a roguelike dungeon crawler called Hades. At first, the new project was greeted with apprehension when the words « early access » dropped next to it, but through steady patches and monthly content drops, the early access game has developed a strong following. At DICE Summit a couple of weeks ago, I met up with Greg Kasavin, a writer and designer with Supergiant Games. We talked about the learning experience of launching a fluid early access game (contrary to the studio’s past content-complete at launch action-adventure games like Bastion and Transistor), and about its peculiar partnership with Epic Games Store, the newest digital PC storefront that’s shaking things up on the market. 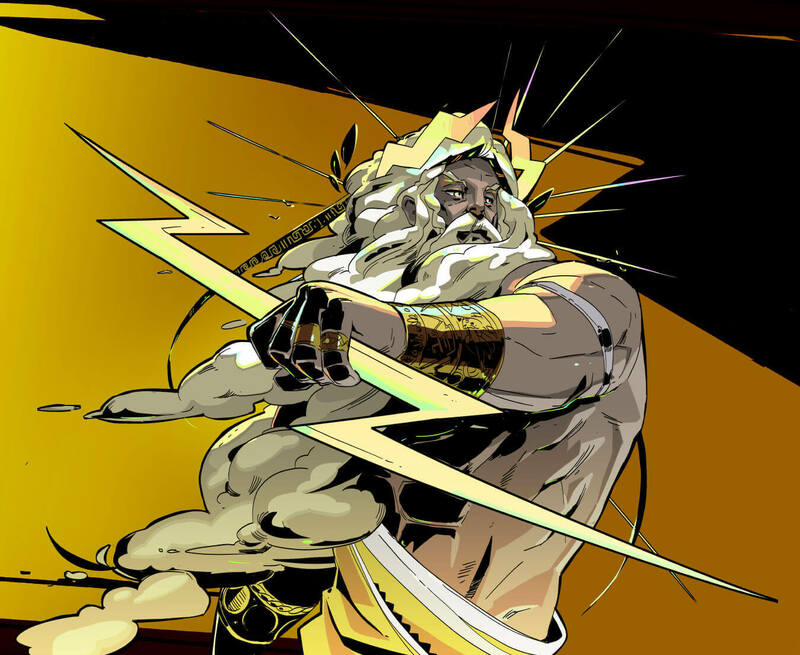 USG: Tell me a bit about what the early access launch for Hades was like on Epic Games Store. Greg Kasavin: It’s been exciting times for us, indeed. It’s been a little over two months since our launch on December 6th. So as part of that launch we put out there that we’re going to have major updates on basically a monthly basis. We had our first one on January 15th and we had our second one just yesterday. So while my colleague Amir [Rao], who’s our studio director, and I were here, we had a bit of butterflies in our stomach for the switch to be flipped while we’re remote, but it’s all gone over really well. 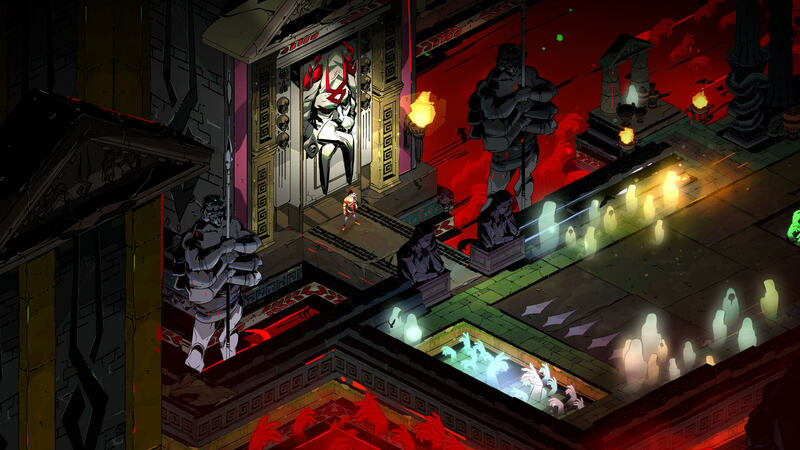 This whole project started with the idea that it would be an early access game, that was even before we chose what the theme of it would be, that emerged as something that we really wanted to do after having spent three years on Pyre. We’re like, ‘Let’s just get something out there faster and then be able to keep building it out in the open.’ And so now we’re in that mode where we can, from my standpoint I work on the story among other aspects. It’s really exciting to be able to introduce new characters and build on the story month after month instead of having all of it in one go. We’ve been working in the monthly update cadence, and we’ve been working this way for many months leading up to launch. I liken it almost to training for a marathon or something. We’ve been sort of practicing. We’ve been simulating internally what we expected it to be like once it’s out there. And of course there are some really key differences, in that we’re getting feedback from players for real as opposed to just getting feedback from the team and other players, so those aspects we’re adapting to. Two updates in, we’re continuing to make refinements there. And as for Epic, they’ve been a really great partner and helped shine a spotlight on the game. We first started talking to them actually around here, this time last year. Some of our many aspects of our launch plan for Hades were a year or so in the making. The idea that we would announce and launch it at the same time was something that we were excited about. We knew it was going to be early access, and when we were talking to the folks at Epic about it and started learning that they had something planned for around that same time, it kind of felt like the stars aligning, and they were interested in working with studios like ours. You know, it’s funny to think about now, but they’re known for the Unreal Engine, right? So for them, it’s like a big shift to have games that are—you know, our game is all 2D and doesn’t use the Unreal Engine—so the idea that they would have a partnership with studios who don’t even use their tech and stuff, I think for them was a really big deal. So the more we learned about it, the more it was exciting and it was a chance for us to conduct what was an experiment for us. One day we’ll call the game 1.0 and it will be finished and feature complete and so on. And players who are accustomed to that type of experience from us, from having played our games in the past, they’ll get that complete package on a similar timeline to our previous games. Meanwhile, we could try the early access thing kind of off to the side and see how that goes for us. What led to you partnering with Epic, besides it launching around the same time? Did you ever consider launching on Steam or was Epic always in the conversation? Early access was always going to be the thing. We certainly thought about a lot of different possibilities. Our games have been on Steam in the past obviously, and they’ve been on all kinds of different platforms and never the same set of platforms each time, because as a small studio, we have to be—both with with our small studio with our own tech as well—where it’s not trivial for us to bring our game to different platforms. We have to be really careful about which platforms we support in what order, because those decisions are so costly for us. They just take a lot of time and energy to support properly. We would love for our games to be available everywhere all at once in a perfect state of quality, but the reality is more challenging than that. Particularly with it being an early access game, like the speed of the iteration was going to be vital. So we quickly ruled out the possibility of having it be in multiple places at once. Yesterday was our, I believe, 12th patch since December 6th. So having to patch on many platforms at the same time can exponentially complicate something that is a vital part of our process right now. We wanted it to be in one spot. There are many early access games on Steam, and we had to weigh being quote unquote ‘another early access game on Steam’ and managing the expectations of our players who may be accustomed to complete games from us. I think there’s some stigma that can come with early access games, so there was appeal in conducting early access somewhere else inherently and we just became excited by Epic’s vision for their store. The idea of some of it is aspects of it go in cycles, where Steam used to be a highly curated storefront. And over time storefronts, you know, gain more and more content and open up to more developers, which I think has tons of positive upside. It’s great that there are many really positive aspects to game development having become more democratized and more available and so that the kind of like ivory tower, walled garden, whatever metaphors have been used in the past. On the other hand there is appeal in a curated storefront as well, where you go there and as a customer you have fewer choices, but you can feel good about the individual choices that are presented to you. Those were some of the things that we were thinking about. And we announced from the day of Hades’ launch that it would eventually come to a variety of other platforms. It’s our current expectation provided, you know, people continue to enjoy the game and whatnot. So it’s a matter of time from our perspective, and for now it means that we can focus and do our thing, keep making the game better. You mentioned that you’re working on a monthly cadence for big updates. So what has that process been like now that it’s out in the wild, and what has the feedback been? Yeah, the response has been really, it was really exciting to launch. So we first learned what that process was like on January 15th, with our first major update. But it’s also really interesting between that one and just yesterday, where we kind of went through the cycle more for real because the gap between our initial launch and our first major update was a little bit [rough] with the holidays and all this reacting to the initial launch. Now this was the first time where we I think experienced the cycle more for real. As I mentioned before, I’m sure we’ll keep learning and evolving aspects of the process. We’ve been growing our community on Discord and just refining the way that we gather feedback from players and all that kind of stuff. But the part that was really exciting was when we launched our first major update, like, by the numbers everybody who had ever played the game came back. Just as many people were playing it with our first major update as had ever played it up until that point and we didn’t, from our standpoint, we were more concerned with launching something at a relatively high quality than just having a slapdash of substandard quality content. We really value the atmosphere of our games and everything, so we would rather just build it out more incrementally, but we were pretty taken aback at how much our players engaged with the game. Like even though we did design the game to be highly replayable, it was still really exciting to see how much players did engage with it, and how invested they felt in the world and their progress and all that kind of stuff, and how we prove to ourselves that we have this ability to update the game in a meaningful enough way to where people excitedly come back to it. That was something that we thought a lot about, how do we make sure that people even know that we did this. So it’s right in the main menu, you can see a countdown to our next major update. But in addition to that, we have a monthly newsletter to use all these different tools to try to make sure that people have played the game. If they want to know what we’re up to with it, they can find out without having to dig for it. As part of our early access we make it feel like it’s a living world from us, which is something that we became really excited about while working on the game. A story that can evolve, and you almost start to get the impression that the story of the game takes place kind of in quasi-real time, like here’s what happened a month later, and now this guy showed up in the House of Hades who wasn’t there before, this Olympian took an interest in your exploits. And players have responded really well to that, they’ve responded really well to how we’ve framed the kind of feedback that we’d love to hear from them, and we have a fairly regimented process for how we like for our players to send feedback to us that they’ve been following really well and giving us good feedback even about that process. So it’s been busy for sure, but it’s been really good. And the part where we put something out there and a bunch of our players respond with excitement is invigorating for us. It makes us want to go and do the next one. So the part where the feedback has been positive really means a lot. I’ve worked on games where the community has not necessarily been on the side of the development team, and it’s really difficult when you feel like your community isn’t really behind what you’re doing. But our community, they’ve put a great deal of faith in us, which certainly carries a certain pressure with it. But it feels really good. I think we feel a responsibility to our players to keep doing our best and make the best game that we can. It’s cool to be able to hear from them right away and refine the decisions that we’re making. The other thing it did, I want to make sure I cover this, it really quickly did the thing we hoped it would do for us, which is help us make smarter decisions about the work that we prioritize. We’ve said that we plan to be in early access for at least a year, so we have all this stuff we want to do with the game, but the order in which we do it is somewhat flexible. And with that very first update, we very quickly prioritized a bunch of work that we didn’t expect to do for many months because of how people engaged with it. We realized that these late game systems, we thought we shipped a pretty challenging game that would keep people busy for a long time. But some players became advanced players in the game even faster than we expected, even though we expected them to get there pretty quickly. Suddenly we’re prioritizing these late game systems because these players, they love the game already, but they’re starting to run into that sort of skill cap, that skill ceiling. We know that we plan to take it even farther, so let’s do this work right now because it’s going to make the content that’s there even more replayable because it’s hard for us to make the game more replayable just by adding environments and enemies and stuff. We don’t necessarily want a single run through of the game to be like hours long. It’s not really conducive to this kind of game structure where you can loop through it somewhat quickly. So it’s really good for us to have systems that make each individual playthrough of the game as varied and as interesting as possible. So we prioritized more of the kinds of systems that will add even more variety from one play through to the next. That’s been really good, and suddenly our most experienced players are discovering new depth there, and so on. So we felt good about that. You mentioned that with the early access that you’re taking that to the storytelling approach too, with live updates. Post-1.0, is it going take on a similar model? Well with 1.0, we plan to have a conclusion to essentially the main narrative arc in the game. We plan for this game to have a strong narrative conclusion in a vein similar to our previous games, in the sense that we value the sense of there being a specific narrative outcome without sort of talking around it. We’ve always valued narrative in our games and we wanted to reassure players that even though we’re making an early access game and it’s not at the expense of the narrative. Because it’s easy to, I think, assume that when you hear that, you know, whatever Supergiant’s making an early access game. But I think when people played it, they discovered immediately that it has the kind of world building and atmosphere and narrative that I think we’re known for with our games. We saw the launches almost like a pilot episode of a show, where now it will kind of unfold gradually from one update to the next and culminate in some sort of conclusion. And you’re asking, will that be the end of it? I think we would love to be able to keep going after that one. 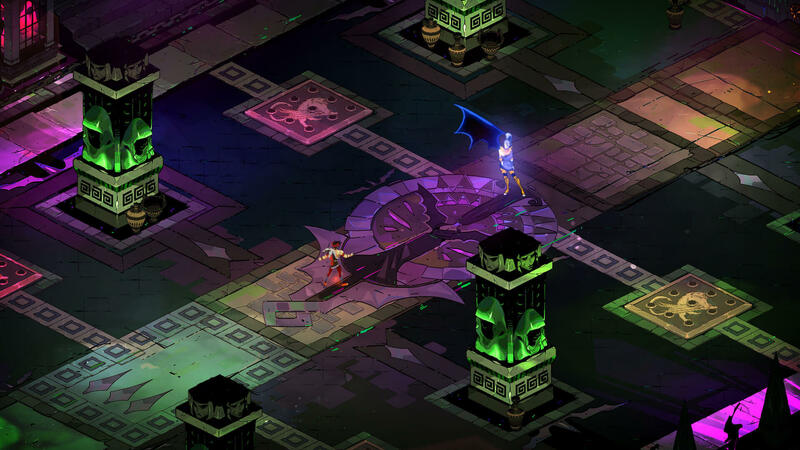 I could actually say decisively that 1.0 for us will not be like we stop working on Hades. We want to justify continuing to work on it beyond that. We’ve always continued to maintain our games beyond the initial launch so, we’ll see what happens after that. The 1.0 version should be hopefully when the game could potentially come to other platforms and have the narrative outcome and whatever other final touches we think make for a complete feeling experience. Then beyond that, we’ll see what people say and figure it out from there. It’s a long way off so we don’t want to be committing too specifically to the details of it, but part of the appeal of this project to us was a game that is conducive to extension, whereas our previous games have ended in very, I think, final ways that don’t lend themselves to like, ‘Now here’s the story DLC’ or whatever it is. We’ve done that intentionally, but part of doing things differently each time this time around, we liked the challenge of ‘can we come up with a way to do what we do within this type of structure,’ and it’s been fun so far. To wrap things up, is there anything else you want to say about Hades and Epic Games Store, or anything? We’re excited to be a part of something where we don’t know what the future holds. On the one hand, it can be scary. But on the other hand it’s exciting and we like to put our work out there and see what see what twists and turns it will naturally take through the course of development. Being a part of something like the Epic Games Store launch felt like a really natural part of the story of something like this, so I think competition in the game industry is good for everybody. It’s good for customers. It’s good for people working in the industry. Just on a personal level, I thought it was exciting to see Epic throw its hat in the ring. As someone who has been using Steam since the day Half-Life 2 came out, I have zero fear that like, I can love Steam and your love for one platform doesn’t need to come at the exclusion of another. So I like seeing more places to play games out there, and see how different perspectives on it pan out. And yeah, we’ll see how it goes. It’s one of those things where I know that Epic has a mindset around listening to player feedback also. I think their success with something like Fortnite wouldn’t be what it is if they weren’t highly attentive to what their audience is interested in. So it’s cool to be a part of it and we’re as curious as anyone to see how it pans out.